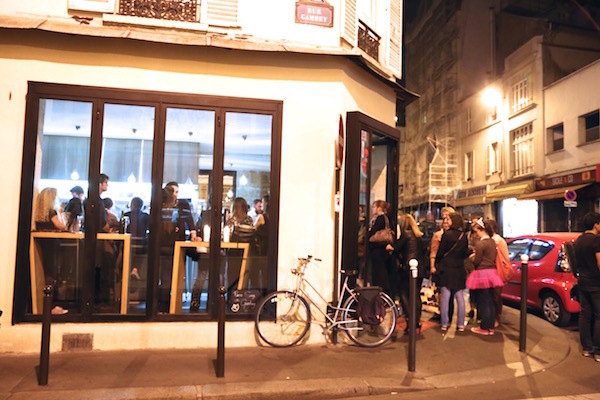 There’s nothing like experiencing Paris like a local. This guide including the best restaurants, museums and shopping should help you do just that. Paris may be the world’s most beautiful city, but it is not simply the idyllic movie set many have come to expect. It is a big city with grit and grime and diverse cultures and cuisines. This is precisely what makes it special. In addition to enjoying crêpes on the street and steak frites in a picture perfect French bistro, visitors can sample Israeli street food, Asian-French fusion and globally influenced small plates from up-and-coming chefs at the best restaurants in Paris. 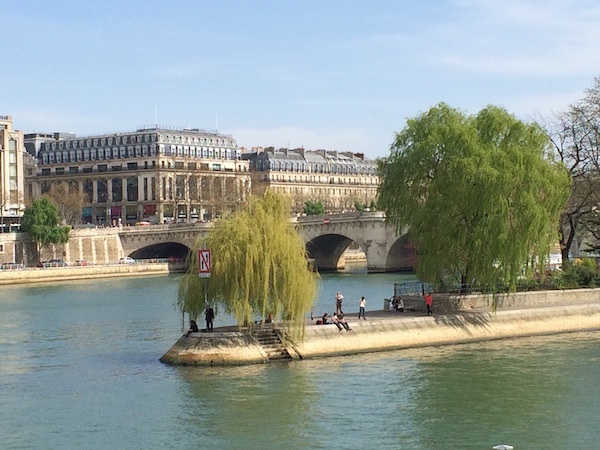 A healthy mix of locals and tourists can always be spotted along the Seine. The enviable Parisian lifestyle does have a slightly slower pace than say New York or London. Many shops still close on Sunday and don’t even think about trying to purchase meat at mid-day (butchers close for a two-hour lunch break). While everyone who visits Paris should see the Eiffel Tower, the Louvre and the Musée d’Orsay, the city has many more spectacular historic sites and museums that don’t attract nearly as many tourists. There’s nothing quite like experiencing Paris like a local and hopefully, this Guide to Paris will help you do just that. Travelproper tip: Parisians are not inherently rude, at least no more than people in other big cities. They are extremely proud of their culture and heritage and they don’t like it when Americans assume everyone in the city speaks English. A little effort goes a long way and if you can learn a few French phrases and ask “parlez-vous Anglais?” (do you speak English) before launching into English you will have more positive interactions. Travelproper tip: If you don’t speak French, visiting a bakery in Paris can be intimidating. Here are my tips for ordering bread and pastries like a local. Two brothers own this Marais bakery along with renowned baker Christian Vabret and it’s the bread that stands out—their baguette tradition won second place in Paris’s best baguette competition in 2014. 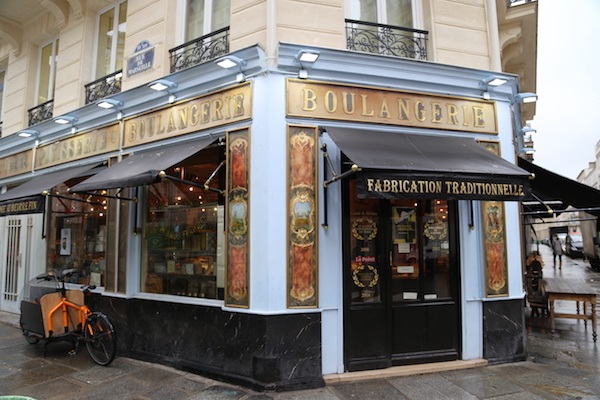 The beautiful boulangerie with a glass ceiling and ornate façade dates back to the 1800s. This bakery in the 12th arrondissement makes the best croissant in the city and maybe anywhere. The golden crescents are crispy on the outside but soft on the inside and slightly sweet with a faint taste of vanilla. Don’t forget about the other pastries in the case like tangy apricot tarts (when in season) and a decadent kouign-amann, a croissant layered with sugar and baked in the oven until caramelized. Just around the corner from Blé Sucré is another excellent bakery. Boulangerie Bo has one of the most beautiful bakery facades in Paris, but it is not just a pretty face. Bread and pastries, particularly creations featuring seasonal fruit like a rhubarb tart with yogurt and lime zest, are excellent. The pretty facade of Du Pain et Des Idées. This pretty bakery near Canal Saint Martin is renowned for its Pain des Amis, a signature loaf with a dark crust and nutty aroma, but everything from the l’escargot, a pastry that seems like a cross between a croissant and a palmier, to the pain au chocolate with banana is delicious. Almost everything is made with organic ingredients. 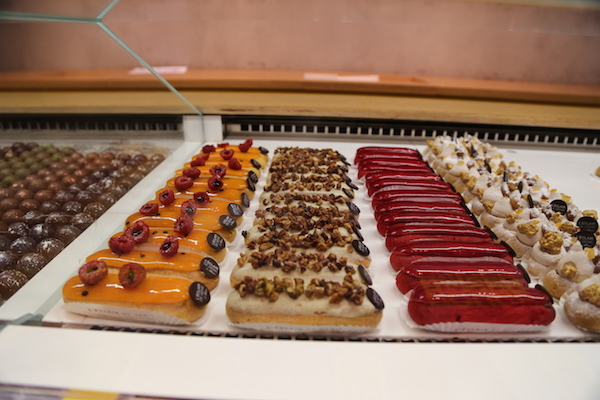 L’Éclair de Genie has a variety of creative éclair flavors. Salted caramel, yuzu, and pistachio strawberry are just a few of the éclair flavors you’ll find at this creative patisserie in the Marais. This beloved macaron makeover is well known the world over with locations in the US, China and Japan but visiting one of the candy-colored shops in Paris is still a treat. While the macarons are good, Ladurée’s croissant aux noix, a croissant filled with nuts and brown sugar, is what you really should be ordering. There are locations throughout the city, but my favorite is in Saint-Germain-des-Prés. 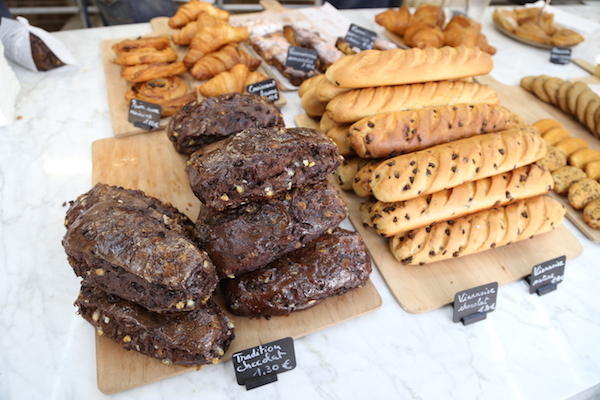 Liberté bakery makes the city’s best chocolate bread. Baker Benoît Castel has brought a new breed of boulangerie to Paris with his Liberté bakeries in the 10th, Menilmontant and Galleries Lafayette. Streamlined and modern, the bakeries feature open kitchens and architectural pastries like a lemon tart topped with teardrops of lemon curd. The chocolate bread made with cocoa powder and flecked with white chocolate pieces is addictive. This petit boulangerie in the Marais is known for Schwarzbrot, a dense and nutty German-style loaf. For something sweeter try the white chocolate bread. Patissier Sebastien Gaudard’s whimsical bakery in Pigalle sells pretty pastries like a lemon tart with a sugar cookie-like crust and a beloved baba au rhum. Du Pain et des Idées’ pain des amis or “bread of friends” has a delicious thick crust. 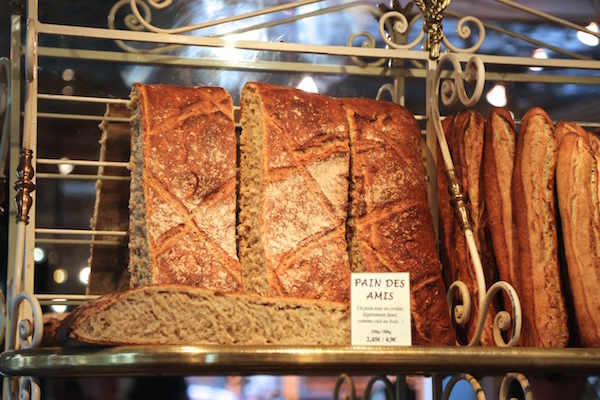 Travelproper tip: When ordering bread at a bakery in Paris, specify what type of bread you’d like– bien cuit (well done) or pas trop cuit (not too done) to sound like a local. For more on bread in Paris check out my story for Bon Appetit here. I believe Cedric Grolet, the head pâtissier at Le Meurice hotel, is the best pastry chef in Paris. One of the best ways to experience his creations is to go to afternoon tea at Le Dali restaurant. It’s a splurge to be sure, but pastries like a lemon tart flecked with caviar lime are intensely flavored and completely satisfying. During the tea service, fresh out of the oven madeleines come right to your table. You’ll probably feel more like you’re in Portland, Oregon than Paris in this sliver of a coffee shop near Canal Saint Martin. The beans come from Belleville Brûlerie and pastries are more British than French and include scones and fruit-filled muffins. Breakfast is the only meal served at Claus in the 2nd arrondissement where you can enjoy eggs with smoked salmon or muesli with fromage blanc. The pastries that greet you on the way in, displayed on various cake platters beneath a blackboard, are quite good including a bright green pistachio financier with raspberries. It’s a good idea to make a reservation here, especially on weekends. This bare-bones coffee shop in the Upper Marais also serves Belleville Brûlerie coffee and a small selection of pastries and granola. Pancakes, beans and a crispy hashbrown are just a few of the things you’ll find at this lively breakfast spot in the 10th arrondissement. The interior is a French take on the American diner with leather booths, industrial fixtures and a distressed white brick wall. The hip, bilingual wait staff is extremely friendly. Honor is located in a beautiful courtyard off rue du Faubourg Saint-Honoré. 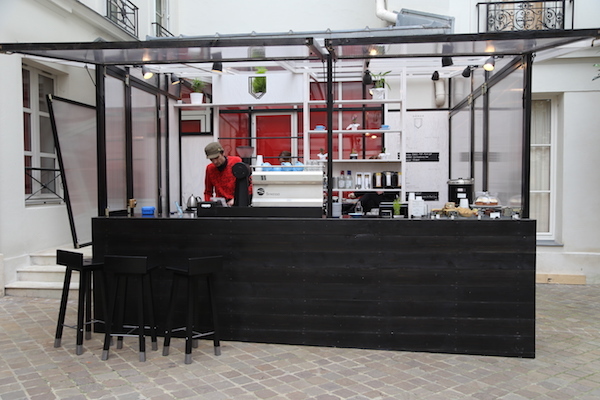 Tucked in a courtyard off fashionable Rue du Faubourg Saint-Honoré lays Honor, an outdoor coffee bar owned by an English/Australian couple with years of experience in the specialty coffee industry. The streamlined coffee kiosk, designed by Studio Desuant Bone, is beautiful. 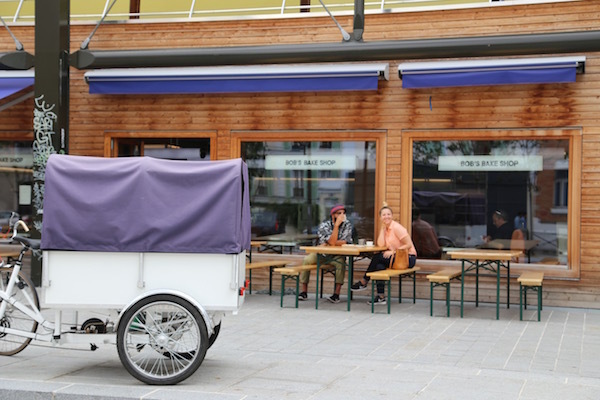 Panels can be removed to create different configurations depending on the season and customer seating has been cleverly integrated with a coffee bar in the front and raised communal seating hidden in the back. If you need something to nibble on Honor has that covered as well with pastries by Broken Biscuits and soups and sandwiches from Coutume. Afterward, shop through the Comme des Garcons flagship shop at the back of the courtyard. The owners of Belleville Brûlerie coffee roasters have opened this novel concept, an all-day cafe in a beautiful old brasserie that serves very good coffee. I like it for breakfast when you can order pain perdu with fresh fruit or tartine with jam. At lunchtime, you can order a croque monsieur sandwich. In the evening, the restaurant offers light bites like cheese and charcuterie. The lemon pie at Le Loir Dans la Théière is a must order. To eat at this popular brunch spot in the Marais, you’ll probably have to wait in line but it moves quickly. 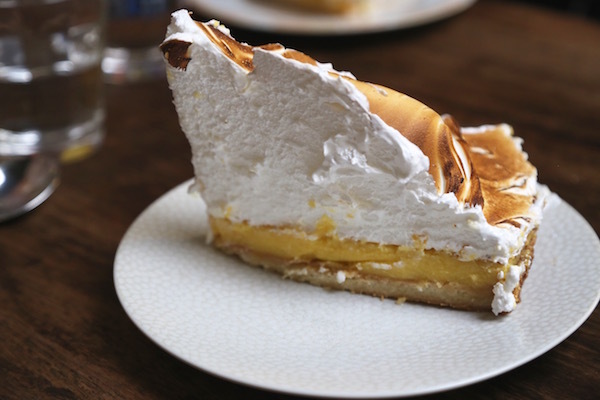 Once you’ve snagged a spot enjoy a slice of quiche followed by the lemon pie topped with fluffy meringue. This family-owned cafe offers fine coffee, bike rentals and Belgian-style waffles. Its location near the Seine on the pretty art gallery-lined street, Rue Pont Louis Philippe, adds to the appeal. Bob’s Bakeshop is the place to go for American pastries and authentic New York bagels. I love Bob’s. Really that would be Marc Grossman, the man behind, Bob’s Kitchen Bob’s Bake Shop and Bob’s Juice Bar. These are the places I go when I want something healthy and a little piece of home. At Bob’s Kitchen you’ll find veggie stew a sort of rice bowl with roasted vegetables, greens and the sauce of your choice—I love the sauté which is a peanut and coconut milk sauce but you really can’t go wrong with any of the choices. Here you can also pick up smoothies, bagel sandwiches and juices—the green juice loaded with vegetables, fruit and herbs is refreshing and healthy. At the Juice Bar you’ll find a more limited menu but the same great juices and smoothies and at Bob’s Bake Shop you can enjoy home-made bagels like poppy seed and sesame topped with organic Scottish salmon and cream cheese or my favorite hummus with roasted carrots and arugula. This is also the place to go for American desserts in Paris like pecan pie, fruit crumble, and brownies. Who makes the best crêpes in Paris is up for debate, but if pressed I’d probably pick Breizh Café in the Marais. The authentic Brittany-style crêpes (made with buckwheat flour) are paper thin and crispy on the edges. The restaurant has a varied selection of toppings, from traditional ham, egg and cheese to more innovative daily specials like a crêpe topped with Roquefort, arugula and honey. I recommend making reservations for lunch and dinner on the weekends. Open-faced sandwiches at Café Sudeois. I love this café offering vegetarian and vegan cuisine because it doesn’t feel like you’re giving up anything. The décor is hip, the food is fresh and flavorful and they even have vegan desserts and decadent hot chocolate made with hazelnut milk. The delightful café off a courtyard in the Swedish Institute serves open-faced sandwiches and an addictive cardamom-specked cinnamon roll. This hipster hangout serves breakfast and lunch. You order at a counter and hope there’s space at one of the high top communal tables. Standouts on the menu include the pulled pork sandwich, gazpacho (when in season) and a remarkably authentic lobster roll. When you visit rue des Rosiers in the Marais you must get a falafel at this legendary spot. Don’t be put off by the carnival-like atmosphere, on busy days you pay for a ticket and then wait in line, the food really is good. The vegetarian falafel comes filled with plump falafels, marinated eggplant, hummus, shredded carrot and cucumbers and tahini. L’As du Falafel is closed on Saturday and lines are longest on Sunday. Travelproper tip: While more and more walk-in only restaurants are opening in Paris, reservations are still the preferred method of dining. If you have your heart set on eating at a certain restaurant make sure you make a reservation before you arrive. Open tables don’t necessarily mean open spaces. They may very well be booked for the evening. Some restaurants will take reservations weeks in advance while others, like Septime, open reservations two weeks to the day before dining. Lafourchette.com, France’s Open Table, can be a good way to make reservations at some restaurants. Candelaria has authentic tacos that change based on what’s in season. One of Paris’s most reliable Mexican restaurants serves excellent guacamole, black beans and seasonal tacos that change weekly. I like the juicy pork carnitas. Usually, there’s a veggie option and the restaurant also offers brunch on weekends. Get the huevos rancheros! The back room of the restaurant turns into a speakeasy-style bar at night where mixologists pour some of the best drinks in the city mostly made with mescal and tequila. This excellent crêpery serves true Brittany style crêpes. While they have traditional toppings like egg and ham I love the more creative crêpes like the Forestier with carrot puree, mushrooms, and tomatoes. Chilam is a cozy place for tacos and margaritas. The owners of this tiny Mexican spot near Rue des Rosiers are from Mexico City. They’ve accomplished something I’ve long been hoping for in Paris, infusing French cuisine with authentic Mexican fare. 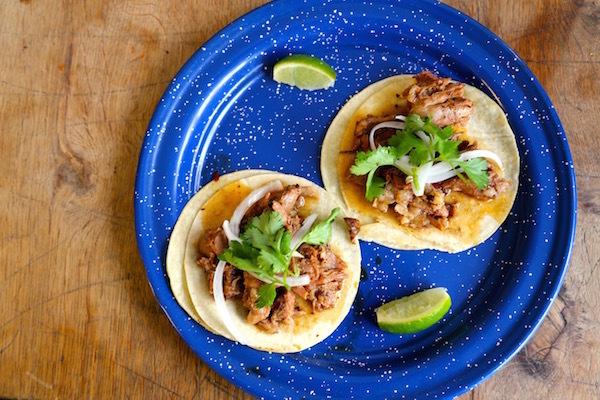 At Chilam, you can order tacos filled with citrusy cochinta pibil or succulent shredded duck breast. The margaritas and the chips and guacamole are excellent. There’s basically one table and a smattering of counter seating. If there’s no place to sit, you can take your order to go. The wine bar from the Yves Camdebord, chef of Comptoir and owner of Le Relais Saint Germain hotel, is standing room only, but it’s a fun place to grab a French tapas-style dinner, a crêpe or a charcuterie plate. Creative dishes include a savory waffle topped with ham and artichoke and a blood sausage macaron. Cambebord has opened another slightly larger L’Avant Comptoir in the Marché Saint Germain a few blocks away if you’d rather sit while eating. The dinner rush at Miznon. This lively Israeli street food restaurant feels a bit like a party especially in summer when people waiting for to-go orders, or a table, spill out onto the street. It’s very casual. 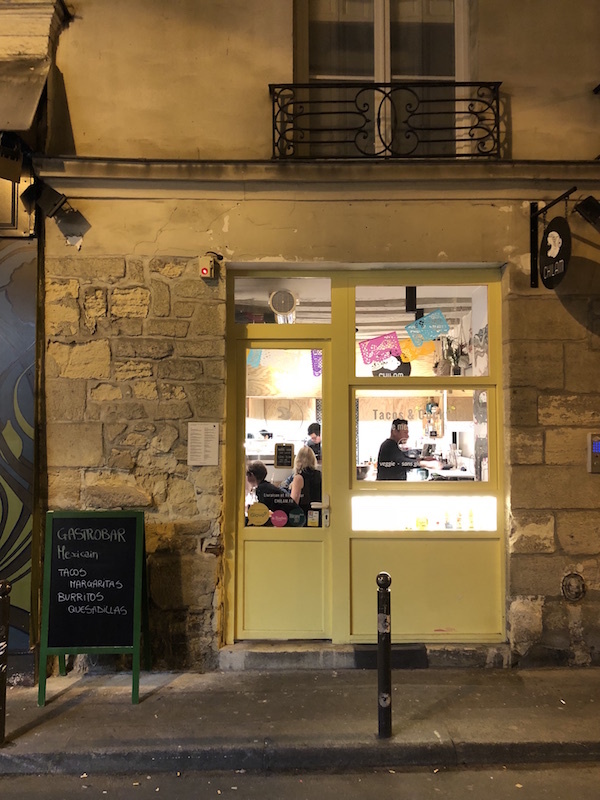 You order at the counter, but the food—a whole head of roasted cauliflower, sweet potatoes blistered in the oven and a delicious boeuf bourguignon pita with carrots and mustard is some of my favorite in Paris. Yes, this is the second location of the New York favorite and, while it is owned by an American, I still think it’s a fine place to go for French fare like coq au vin. Buvette also serves excellent tartines (open-faced sandwiches), salads and charcuterie and desserts are displayed beautifully on the bar. This tapas-style seafood restaurant from the team behind Septime has become quite popular (expect to wait on weekends) and everything is excellent and meant to be shared. The menu changes constantly based on what is coming off the boat but try oysters, ceviche and scallops with bone marrow if you’re lucky. This French tapas-bar serves excellent small plates like finely sliced chorizo, smoky fish pate and grilled meats from pintade (guinea fowl) to duck hearts. There is limited counter seating so you may eat standing up but that’s part of the fun at this lively spot. This glass-fronted restaurant and bar serve the best Neapolitan-style pizza in Paris in my opinion. Toppings include buffalo mozzarella, prosciutto and arugula and pies are cooked in a wood-fired oven. It’s best to call ahead for a table, but the bar is reserved for walk-ins. Cocktails here are also good. Creative French food served tapas style is the best way to describe Inaki Aiziparte’s casual wine bar. Everything is packed full of flavor from Iberico pork tartare to “fish and chips” served with whisper thin, vinegary potatoes and lightly battered fish with a dab of lemony tartar sauce. The lemon tart is a must for dessert. The entrance to this restaurant, popular amongst the fashion set, resembles a fruit and vegetable market and that should give you confidence the ingredients used here are all incredibly fresh. The food is Japanese-French fusion like foie gras with miso sauce and soba noodles with thinly sliced duck breast. Pierre Sang doesn’t take reservations but get there early or you’ll have to wait. Former Top Chef France contestant Pierre Sang has two great restaurants one on rue Oberkampf and one just down the street on rue Gambey. Both offer a nightly tasting menu featuring tasty Korean influenced French dishes but, they have slightly different looks and vibes. The corner restaurant is a sleek, modern space with a long, stainless steel communal table. The newer restaurant feels more like a wine bar with red brick walls lined with wine bottles. Both restaurants are lively. Standout dishes I’ve enjoyed include duck with white beans, roasted carrots and chili pepper miso sauce and Cantal cheese with yuzu jam. Abri, a small restaurant in the 10th, is notoriously hard to get into, but if you can manage to snag a reservation you’ll be rewarded with an affordable set dinner menu that includes three starters, a fish and meat course as well as dessert. If you don’t want to bother with a reservation just go for lunch on a Saturday or a Monday when the restaurant serves a delicious sandwich filled with breaded pork, egg, Mimolette cheese and cabbage. This funky wine bar and restaurant is where all the cool kids eat and while the space is nothing to write home about, think mismatched tables and chairs and a chalkboard menu, the highly seasonal and flavorful small plates are not to be missed. Dishes I’ve tried and loved include roasted carrots with dukkah, langoustines with oysters and rocket, and tender octopus with romanesco. The restaurant that arguably launched the “Bistronomie” movement in Paris is still a standout thanks to Chef Inaki Aizaparte’s use of only the best ingredients in creative dishes like liquid ceviche. The atmosphere is sparse French bistro with bistro tables and chairs and a tiled floor. The young, no-nonsense wait staff keep it feeling hip. Gregory Marchand’s bistro tucked down a cobblestone street in the 2nd has drawn much acclaim (and reservations that must be booked way in advance as a result) but for good reason. The food is French light with influences throughout the world—Marchand has worked in Spain, New York and Hong Kong and even with Jamie Oliver in London. The Shangri-La hotel is a stunning mix of French empire period architecture and subtle Asian design. The hotel’s La Bahinia restaurant, located under a glass dome is gorgeous and serves a delicious menu of both French and Southeast Asian dishes. The prices are high, but the food is elegant and satisfying. If you go to this 3-Michelin star spot in the luxurious George V hotel be prepared to spend 300 euros plus per person, but you’ll be rewarded with excellent service and inventive cuisine using the world’s best ingredients like blue lobster with grapefruit coulis, cuttlefish pasta and butter sauce. Seasonal volaille (poultry) is the specialty at this restaurant in Montmartre. The atmosphere is more grown up then happening but the poulet Bresse (a French breed of chicken with its own AOC) with French fries and a green salad might be the perfect meal. The former chef of Au Passage is helming the kitchen here and he seems to be having a ball, doing a simple but seriously good tapas menu. Dishes might include razor clams, duck hearts or addictive fried potatoes with a vinegar sauce. The all natural wine cave has plenty of gems at reasonable prices. 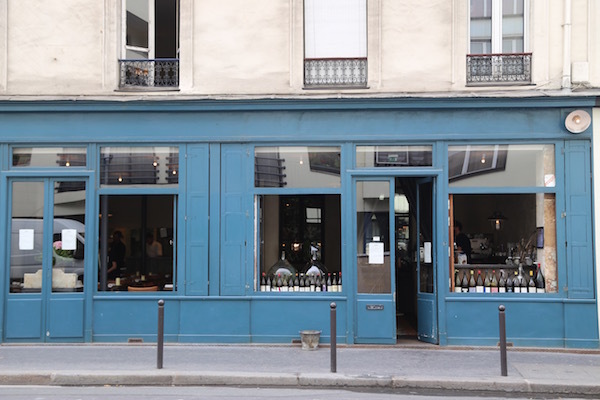 This restaurant in artsy Belleville is a favorite of many of the best chefs in Paris. It’s a casual, beatnik type place. Daily changing dishes are scribbled on a chalkboard, and the home cooking by Raquel Carina is flawless. I had mussels in an aromatic sauce of white wine and lemongrass and rich oxtail stew on my last visit. This market-driven bistro in Pigalle always delivers fresh flavorful dishes and is a great choice for lunch or dinner. I had a poached egg with octopus and pickled cabbage once that blew my mind. The menu changes every day and I like the simple Parisian bistro-style ambiance. This pretty bistro in the 11th is a great choice if you haven’t been able to plan reservations weeks or months in advance. Still, call a few days ahead and enjoy the fine French food with some global influences by chef Tatiana Levha who worked at L’Arpege. 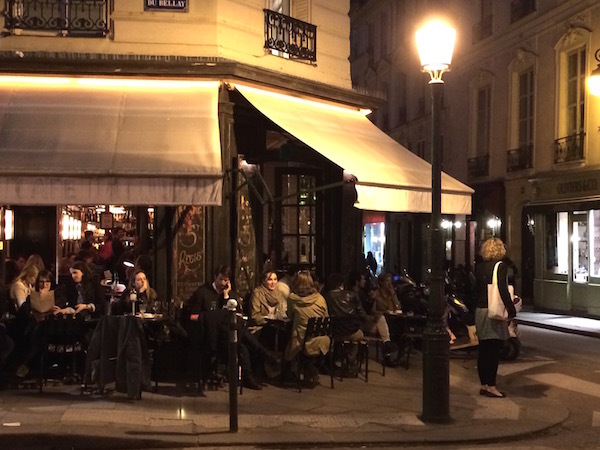 This bistro in Saint-Germain-des-Prés is one of my favorites. Dishes range from the traditional roast duck for two, to creative sea bream marinated in red wine, but everything I’ve had here has been delicious. 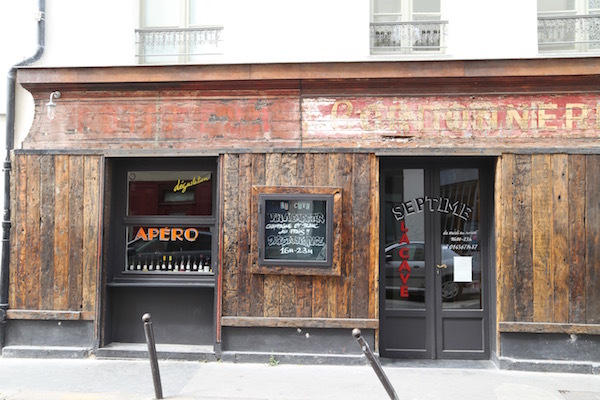 Septime is unassuming from the outside, but it’s one of the hardest to get reservations in Paris. This is one of the hardest to snag tables in Paris. Bertrand Grebaut’s cooking is undeniably French, most of the ingredients come from in or near Paris and the atmosphere is just cool. Read my interview with Grebaut here. This 10th arrondissement spot serves modern French cuisine in a stripped down setting (exposed brick walls, simple wooden tables and chairs). Dishes like lamb shoulder with naan bread, white beans and yogurt with coriander are creative and well executed. Verjus is owned by the American couple who were behind the intensely popular Hidden Kitchen Supper Club. While that shuttered, they now have Verjus, a lovely restaurant behind the Palais Royal great for special occasions, a wine bar and Ellsworth a more casual restaurant serving corn-dogs with house-made rabbit sausage and an excellent brunch on Sunday. When you enter this restaurant on Rue Saint Honoré you instantly feel at ease thanks to the zen-aesthetic, tranquil inner courtyard and pale golden walls. Chef Adeline Grattard is extremely talented and dishes include wok-fried langoustines with duck egg, lettuce cream and yellow tomatoes. The excellent wine pairings are especially enjoyable thanks to delicate wine glasses by Zalto Denmark. Alain Ducasse’s beautiful bistro in Saint-Germain-des-Prés is a great place to go if you want white tablecloths, black-vested waiters and to try the famed Challan duck with green olives. This quintessential bistro in the 11th seems like the type of restaurant you’d expect to see in a Woody Allen movie. Characters abound. The tables are packed tightly together and the côte-de-boeuf for two with golden frites is one of the best large format dishes in the city. The historic Saint-Régis is one of the city’s most atmospheric cafes. This historic brasserie on the Îli-Saint Louis is one of the city’s prettiest with white subway tile walls, black and white checkered floor, and floor-to-ceiling windows that open up to the outside. The food is so-so, but the atmosphere is so great, it’s worth going for a glass of rosé or absinthe-laced cocktail. Few restaurants strike such passion. People either love or hate Chez L’Ami Louis. It’s expensive for starters and the tables are often filled with wealthy Americans. 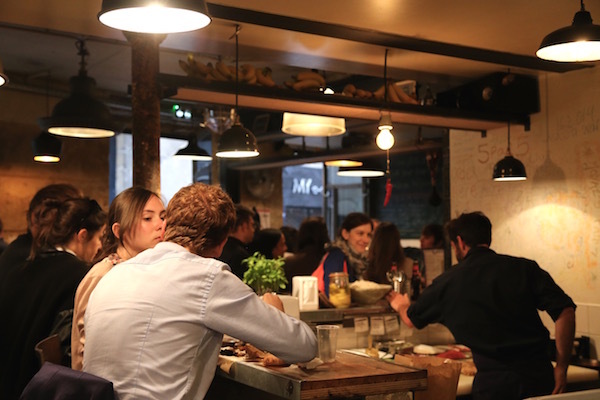 The food is very good and it offers the bistro ambiance and buttoned up, opinionated service, that can be hard to come by these days in Paris. It’s an experience. If you’re curious about it, it might be worth doing at least once. 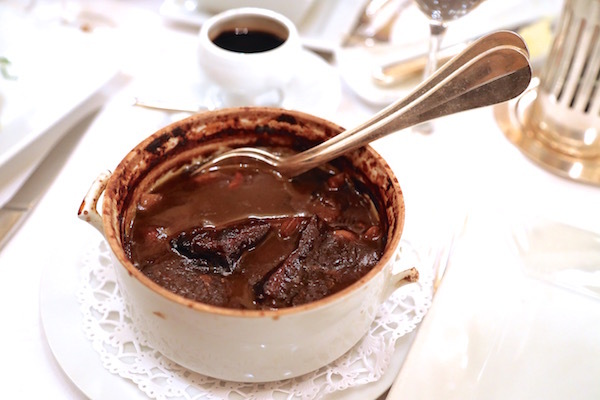 Josephine Chez Dumonet is one of the only places in Paris that still makes boeuf bourguignon the right way. This beautiful French bistro in the 6th arrondissement is known for boeuf bourguignon, but the duck confit and the pigeon with crispy potato cake are also excellent. Get the millefeuille for dessert! This restaurant in the 2nd from American chef Daniel Rose is exactly what Paris needs. It’s an upscale bistro where diners can sample traditional French dishes that are not that easy to find in Paris including pot-au-feu, duck à l’orange and decadent chocolate mousse. Don’t be put off by the fact that it’s an American chef. 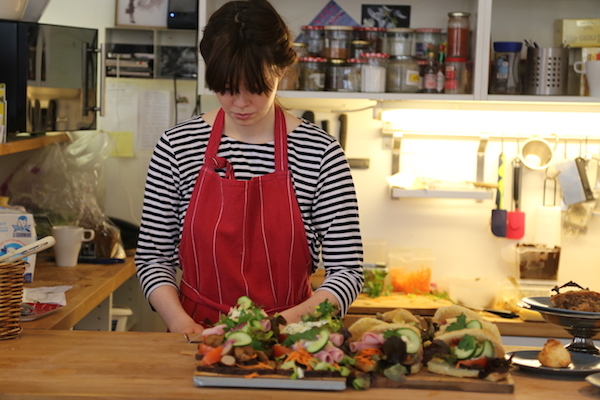 Rose has been living in Paris for years and the dishes are authentic. I saw the one and only Ina Garten eating there if that tells you anything. It’s a small restaurant so definitely make reservations. Frenchie is a tough reservation to snag. If you haven’t planned ahead, just go to Marchand’s excellent walk-in only wine bar across the street. The cozy space with wood beamed ceilings and brick walls gets crowded so try to arrive when it opens at 7 pm. Everything is excellent and the menu changes frequently. If the blue lobster roll is on the menu, don’t hesitate. This natural wine shop in the 11th arrondissement stocks a very interesting mix of wines from France and Europe. It’s also a beautiful space with a mosaic floor and white tile walls. Technically a wine shop, not a wine bar you can consume wine there but only with the purchase of food. This is not a bad thing. The small plates–saucisson Seche, haricots blancs, and ricotta with quince jam are yummy. The chef/owner of Le Galopin prefers to cook at his next-door cave à manger La Cave à Michel, so the food is excellent. It’s all small plates and you eat standing up at the bar. Coupled with the impressive wine selection and lively atmosphere, it just makes sense. Le Garde Robe is a fun and funky wine bar that can get rowdy. It’s a good choice for a light dinner comprised of charcuterie like smoked pork filet mignon and an amazing bottle of natural wine. Septime la Cave is located in a former shoe cobbler shop. This former shoe cobbler shop is an absolute must if you’re waiting for a table at Clamato or want to have a pre-dinner drink before your dine at Septime. It’s also a worthy stop in its own right. The natural wines from cult favorite makers like L’Anglore and Bobinet are unique and tasty and the small plates on offer like house-made ricotta with anchovies are delicious! This lovely wine bar below Verjus restaurant is intimate and a great place to go for a light dinner provided you can snag space at the small bar. Cheese and charcuterie plates include chorizo with marinated turnips and 30-month Comté with bergamot jam. This historic cocktail bar makes some very modern drinks with spirits like Bourbon and Mescal. It’s located on a lively street with plenty of nightlife if you want to keep the party going. The craft beer craze has hit Paris and this corner bar with 20 taps is my favorite place to sample it. At La Fine Mousse you’ll find excellent artisanal beers from France and Belgium. They also have a restaurant across the street that specializes in food and beer pairings. Cocktail prices can be quite staggering in Paris (particularly at luxury hotels) and it’s no different at the Peninsula Paris where they can be 20-30 euros a pop. I think the cocktails served at the Peninsula’s two bars, the oak-paneled Le Bar Kléber (where the Paris peace accords were signed ending the Vietnam War in 1971) and L’Oiseau Blanc, a rooftop bar with an impressive view of the Eiffel Tower, are worth the splurge. Creations are inventive and delicious. The bourbon-based Le Kléber cocktail served in Bar Klébar is one of my favorite cocktails in Paris. This speakeasy-style bar in the back of Candelaria Mexican restaurant has some of the best bartenders in Paris and the mostly tequila-based cocktails are excellent. I love the slightly spicy Guepe Verde with jalapeno, tequila Blanco, cucumber, agave and lime. Le Mary Celeste is another great bar and restaurant from the same people behind Candelaria. The cocktails are a good enough reason to visit but also try the oysters and the buzzed-about Asian-influenced deviled eggs. Sceney rooftop bars do exist in Paris and, besides L’Oiseau Blanc, I like Le Perchoir in the 11th. The bar has incredible views of the Paris rooftops and Sacré Coeur and an almost Bali-like design aesthetic. There’s one downside. Because it’s outdoors people are allowed to smoke there so don’t expect too much fresh air. There’s also a location in the Marais on top of the BHV. 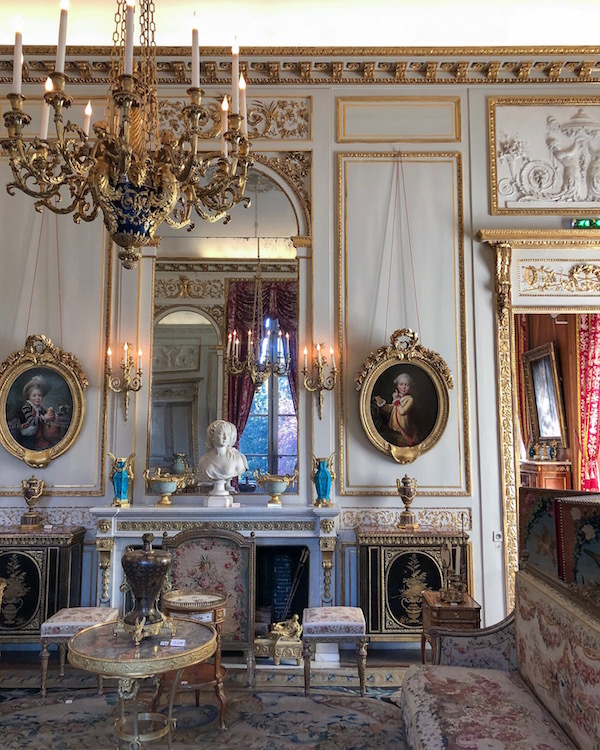 Travelproper tip: If you’re traveling to Paris during the fall or winter try to take advantage of Free First Sundays when museums throughout the city like the Louvre and the Orangerie are free the first Sunday of the month. This Frank Gehry designed structure in the Bois de Boulogne is as much a work of art as the contemporary art collection it’s meant to house. With the purchase of a ticket, you’ll be able to explore the multilevel structure that resembles sails billowing in the wind. Before your trip to Paris, check the website to see if there’s going to be a concert in the colorful auditorium with a water feature as a backdrop. The Napoleon III Apartments at the Louvre. It’s impossible to absorb the entirety of the Louvre on a single visit and you shouldn’t try. You must see the famous things like the Mona Lisa, and the Winged Victory of Samothrace (for an efficient itinerary check out my husband’s story A Great 2 Hour Tour of the Louvre), but try to make it to the Decorative Arts wing, the opulent Napoleon III apartments and the basement of the museum where you can see remnants of the medieval fortress that originally occupied the site. This free museum in the Marais is an excellent place to go to learn about the history of Paris. It’s housed within two of the Marais’ most beautiful mansions: the Hotel de Carnavalet and the Hotel Le Peletier de Saint Fargeau. Interested in learning more about the Marais? Here’s an easy walking tour of the neighborhood. MAD or the Decorative Arts Museum in the Louvre complex sees a fraction of the visitors so it’s delightfully uncrowded. Jewelry lovers will appreciate the jewelry collection that extends from the middle ages to the present day. Many of Paris’s most famous jewelers like Lalique and Templier are represented. For more on jewelry in Paris read my story for HiP Paris here. This lovely museum is located on a quiet street in Montmartre away from the touristy hubbub. The museum is comprised of the 17th century Bel Air House where visitors will find a room dedicated to the CanCan as well as paintings and posters by Toulouse-Lautrec and Modigliani. Stroll through the property’s three gardens and don’t miss the restored studio apartment where Suzanne Valadon and Maurice Utrillo once lived and painted. Many people say this is their favorite museum in Paris. When you visit it’s easy to understand why it’s a crowd pleaser. The building, a former Beaux-Arts train station, is stunning and the collection made up mainly of impressionist and post-impressionist works is easy on the eyes. Famous works housed in the museum include Van Gogh’s Starry Night, Over the Rhone and Renoir’s Bal du Moulin de la Galette. Picasso’s personal collection is housed in the gorgeous Hôtel Salé, a mansion built in the 1600s by a wealthy salt-tax collector. The collection includes over 5,000 works including Picasso’s magnetic portrait of Dora Maar with her spindly red fingernails as well as works by other artists like Degas, Matisse and Renoir. This museum is included in my Two Perfect Days in Paris story here. 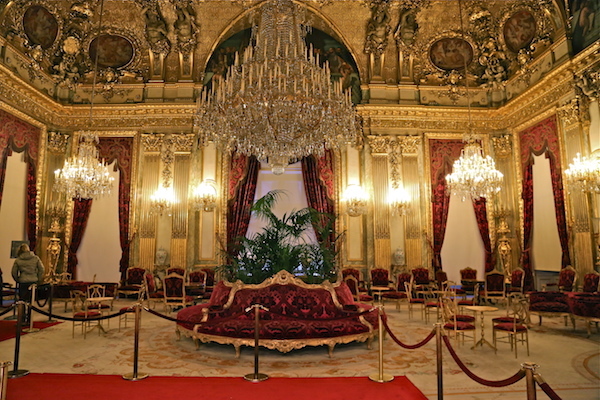 The formal living room at Musée Nissim de Camondo. Built by Parisian banker Möise de Camondo during the Belle Epoque, this elegant home offers a glimpse into the life of an aristocratic home in the early 1900s. Camondo was passionate about 18th-century French furniture and art and excellent examples fill the mansion. While the mansion might lead you to believe Camondo lived a charmed life, his family was plagued by tragedy. His only son was killed in WWI and his daughter and her entire family died in a concentration camp during WWII. The Camondo line completely died out. The museum is their lasting legacy. This museum in the Tuileries Gardens was redesigned in 1922 to be the permanent home of Monet’s Water Lilies canvases. Housed in two oval rooms, it’s fun to see how the season and time of day affected the colors and light in the eight panels. The small museum also has works by Cezanne, Matisse and Utrillo. Most of the French Monarchs are entombed in the Basilica of Saint-Denis. 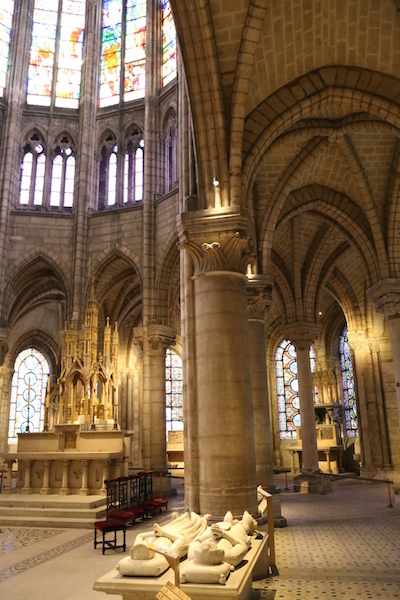 Pay homage to France’s kings and queens by visiting the Basilica of Saint-Denis, a medieval abbey in a northern suburb of Paris. All but three French monarchs remains are interred in the cathedral including Marie Antoinette and Louis XVI. Today these former hunting grounds form a massive park in Paris’s east end. The park is home to the Château de Vincennes, an impressive 14th and 17th-century royal fortress (more below), as well as an equestrian center, running trails and a lake. Considered the largest grave in the world, the eery Paris Catacombs contain the remains of six million people. The bones are neatly stacked and line both sides of the tunnels (former limestone mines) that seem to go on for miles. I recommend visiting in fall or winter when the lines are shorter than during the busy spring and summer travel season. 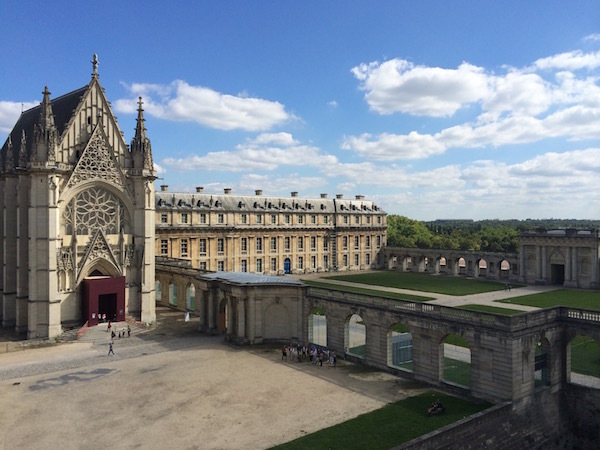 The gothic chapel at Château de Vincennes was inspired by Saint-Chapelle in Paris. This imposing château is one of the best preserved medieval fortresses in Europe. It was originally built for Louis VII as a hunting lodge in the 1100s. The donjon that still stands today was built in the 14th century by Philip VI. The castle became a prison during the 18th century and housed many famous prisoners including the Marquis de Sade. To get there just take the metro line 1 all the way to the Château de Vincennes metro stop. The Conciergie is the oldest remaining part of the Palais de la Cité, the first royal palace in the French capital. It was used as a prison during the French revolution. When you visit, you can see where Queen Marie-Antoinette was most likely held before her execution. For a bit of exercise, I recommend paying to walk up the stairs to the 2nd floor of the Eiffel Tower. You’ll get to see the new partly transparent first floor and enjoy the spectacular views from the second-floor balcony. If you really want to go all the way to the top you can buy another ticket to take the elevator from there. This beautifully manicured park is an oasis of green on the Left Bank. It’s a prime place to picnic, take a stroll or play tennis if you reserve one of the courts ahead of time. The park also has pony rides on weekends. Paris’s ornate Opera House is a sight to behold. It’s equally impressive on the inside. You can go on a tour, but the best way to take it all in is to get tickets to a ballet or opera. Follow the website and book tickets right when they’re released. Loge seats are not expensive, but they go fast. This former church in the Latin Quarter now functions as a mausoleum housing the remains of many of France’s most famous citizens including Voltaire, Victor Hugo, and Alexandre Dumas. Parc des Buttes Chaumont is my favorite park in Paris. Located on a hillside in Belleville, it offers incredible views of the city and Montmartre. Its wide paths and hilly terrain make it a great place to go for a challenging run. Surprises lay around every corner of the park from a grotto with a waterfall to the bar Rosa Bonheur that fills on weekends. The precursor to New York’s High Line, this elevated park in the 12th arrondissement has been built on a former railway line. It’s about three miles long making it a decent place for a job. If you want to run farther, continue running east to the Bois de Vincennes where there are miles and miles of trails. King Louis IX built this jewel-box of a church in the 13th century to house the Crown of Thorns. It’s known for its stained glass, but it’s the vaulted ceiling decorated with golden stars that always captivates me. The fact that the delicate structure has survived multiple city sieges and world wars is a bit of a miracle. American Vintage is my favorite place in Paris for basics like soft t-shirts, tank tops and high waisted shorts. Don’t let the name fool you. American Vintage is a French company and the clothes are made in Portugal. There are locations throughout Paris, but I like the store in the Upper Marais. This covered passage in the 2nd arrondissement with a glass ceiling and mosaic floor is very pretty. It’s also home to a wine shop, bookshop and Jean-Paul Gaulthier’s flagship boutique. If you want the cool girl French look just go here. It’s a bit pricey but if you can catch it during the “Soldes”, the sales that happen in France in winter and early summer, it’s a bargain. Le Bon Marche, a department store founded in 1852, is my favorite of the large department stores in Paris. It has been in its current location since the 1920s and the Art Deco interiors are timeless. La Grand Épicerie, Le Bon Marché’s gourmet food hall and market next door, is the closest thing you’ll find to an American grocery store in Paris. 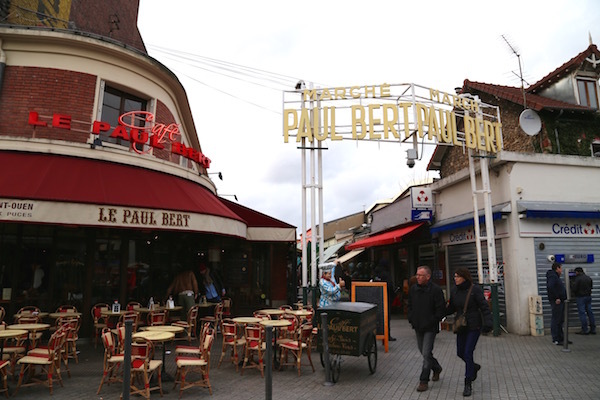 Sunday is a great day to head to the Marché Paul Bert. The Paris flea market is really a neighborhood of different flea markets accessible from the Porte de Cligancourt metro stop. I like Marché Paul Bert, Marché Serpette and Marché Dauphine. You will undoubtedly see beautiful things such as vendors selling Louis Vuitton trunks, copper pots, and Empire period furnishings, but none of these items come cheap. It’s always fun to look and you can score more inexpensive items like vintage posters, costume jewelry and clothes. The markets are only open Saturday, Sunday and some on Monday. This artsy department store in the Marais makes shopping fun. The entryway theme changes frequently, there are three restaurants and everything from the kitchen goods to the clothing seems to have been chosen because of its simple design aesthetic. This concept store in Saint-Germain-des-Prés stocks fashionable items for each member of the family from mid-century modern-inspired nursery furnishings to designer women’s clothing. The retail space, with a rectangular skylight and an outdoor space filled with the best strollers and accessories, is as enchanting as the merchandise. Spree, a designer clothing shop that looks like an art gallery in Montmartre stocks all the best brands including Isabel Marant, Acne Studios and Carven. This concept store has architectural pieces from up-and-coming French designers and a cute coffee shop and café. For the best hotels, markets and day trips take a look at the second part of my Paris Guide here. Always wanted to move to Paris? Here’s my step by step guide to making it happen. My pleasure Vicki. Thanks for your kind note! My pleasure and thanks for your comment. Very complete and extensive list! I Will recommend it to others. Thanks Parisbreakfast. Discovering great restaurants and shops is what I love to do, but compiling this list did take me a while, nearly nine months. Thanks for your feedback and please pass it along to others who are visiting! Paris Breakfast did indeed pass your site on, to me among others I’m sure. I much appreciate your list of restaurants. I have been to many and look forward to trying some new ones based on your list. Also look forward to Pain des Amis au printemps. Thanks for the guidance. My pleasure Deb. Thanks for visiting the site!